As stated in the Introduction (chapter 1) the word osteoporosis is often misused. In case of increased loss of bone mineral without fractures the word osteopenia has to be used. The term osteoporosis should be reserved for loss of bone mass combined with fractures. In practice both words are mixed up very easily. 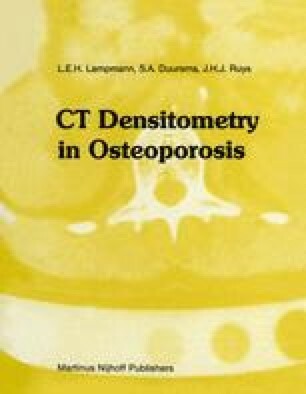 In this study the term osteoporosis is used in all cases of diminished bone mineral content, with and without fractures.